Forty years after the iconic first movie, Jamie Lee Curtis reprises her role as Laurie Strode. 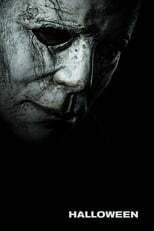 Halloween is directed by David Gordon Green and was released on Oct 19th, 2018. Director David Gordon Green's Thriller & Horror movie Halloween is produced by Universal Pictures & Blumhouse Productions & was released 2018-10-18.